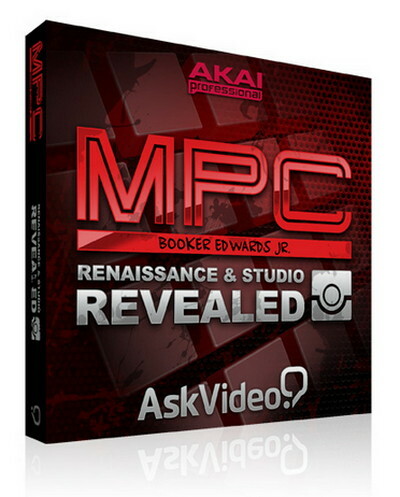 MPC 101 Renaissance and Studio Revealed | Free eBooks Download - EBOOKEE! Posted on 2013-08-26, by nobihai. MPC 101: Renaissance and Studio Revealed (2013) | 372 MB English | 115 mins | AVC1 1280x720 30 fps | AAC 96 Kbps 44.1 KHz Genre: eLearning No one knows - or teaches - the legendary MPC like the Atlanta-based Hip Hop producer and MPC power-user Booker Edwards! So hop on the Booker Edwards Express as he demystifies the hardware and software that makes Akai s MPC Renaissance and Studio the beat-makers of choice for urban producers everywhere... Before you can drive this integrated hardware/software machine, you ve got to know how it works, what makes it fly and what all those mysterious controls do. Think of this course as your map, your gateway into the MPC s inner world where every feature and function is revealed and explained in exacting detail. Booker gives you the best MPC exploration ever created, as he takes you step-by-step through every pad, knob and software function hidden deep inside this complex music production machine. As you complete this collection of tutorials, you get the perspective and confidence you need to take control of the MPC s controls and start pounding out your own experimental, original beats and tracks. But a roadmap is just the beginning! In the next (advanced) course, Booker takes you and your new MPC knowledge to even higher ground where the art of beat-making rules! So if you're doing the MPC thing, learn from the best, right here, with a really great instructor (drum roll)... Booker Edwards! No comments for "MPC 101 Renaissance and Studio Revealed".